This tutu skirt is for 2~4years girls, Satin lined elastic waistband, 100% Soft America yarn. 5-Layered With Shiny LED light which can make your show very magical and shiny. We use the hight quality material, and inside with cotton protect skirt, is very comfotable and safty. It is a perfect gift for birthday party,Christmas,school dance performance and night show. 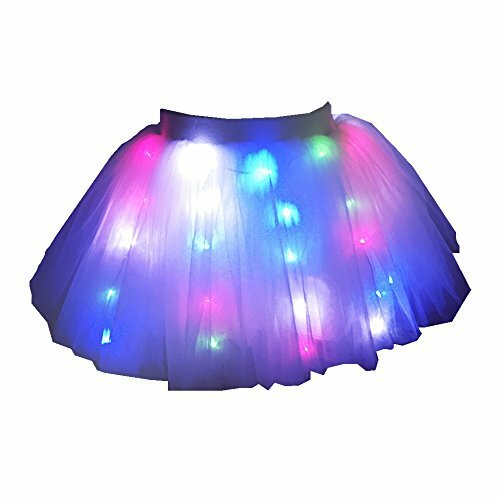 You will get 1 Skirt with LED light+1Frozen Crown, and you need prepare 2pcs cr2032 Button batteries first. If you have any questions about this product by Geek3c, contact us by completing and submitting the form below. If you are looking for a specif part number, please include it with your message.